According to Hort, the first plague, of blood, was supposedly4 a massive amount of red algae, plus a huge quantity of red earth washed into the Nile by excessive rains on the Abyssinian plateau. These algae allegedly de-oxygenated the water, thus killing the fish, which somehow gave rise to anthrax bacteria. The frogs then sickened, left the river (the second plague) and died. Hort’s third plague was mosquitoes, which had bred in the floodwaters, and her fourth was the biting fly Stomoxys calcitrans, breeding in the decaying plants left by the retreating Nile flood. The livestock disease of her fifth plague was anthrax spread by the dead frogs. The sixth plague, of boils on animals and people, was supposedly skin anthrax transmitted by the biting flies. Queen of Sheba's gold found by archaeologists? (GLOBAL POST) — An ancient mine believed to be the source of gold that belonged to the queen of Sheba has been uncovered by British archaeologist Louise Schofield. Schofield, an archaelogist and former British Museum curator, led the excavaction on the high Gheralta plateau in northern Ethiopia, reported The Guardian. by Joe KovacsEmail | Archive Joe Kovacs, executive news editor for WND, is an award-winning journalist and author of the No. 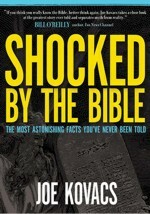 1 best-selling book "Shocked by the Bible: The Most Astonishing Facts You've Never Been Told." A New Testament professor is setting the world of Bible scholarship on fire with his claim that newly discovered fragments of early Christian writings could include a first-century version of the Gospel of Mark, from the same century in which Jesus and the apostles lived. Daniel B. Wallace of the Dallas Theological Seminary made the stunning announcement during a Feb. 1 debate with Bart Ehrman at the University of North Carolina Chapel Hill on whether we have the wording of the original New Testament today. Yes, the Bible is true, but why are so many simple facts from it suppressed? Find out what you’ve been missing in the No. 1 bestseller, “Shocked by the Bible: The Most Astonishing Facts You’ve Never Been Told,” just $4.95 today only! “These manuscripts now increase our holdings as follows: we have as many as eighteen New Testament manuscripts (all fragmentary, more or less) from the second century and one from the first. Altogether, more than 40 percent of all New Testament verses are found in these manuscripts. But the most interesting thing is the first-century fragment. Wallace’s interest is focused on the portion from Mark’s Gospel. Craig A. Evans, professor of New Testament at Acadia Divinity College, says the find may indeed be of very great importance. “If authenticity and early date are confirmed, this fragment of the Gospel of Mark could be very significant and show how well preserved the text of the New Testament really is. We all await its publication,” Evans told the Christian Post. “Any find that gets us a quarter-century or so closer to the time the original gospels were written would be highly significant, even sensational,” Andreas Kostenberger, senior professor of New Testament and biblical theology at Southeastern Baptist Theological in Wake Forest, N.C., told Baptist Press. When asked about the trustworthiness of what Mark really wrote if we don’t possess an actual original copy of his manuscript, Kostenberger said, “The fact is that the earliest manuscripts of all or parts of Mark that we do have show remarkable consistency and stability. And none of the minor variations between different manuscripts affect any major doctrine of Christianity at all. An ancient royal garden has come back into bloom in a way, as scientists have reconstructed what it would’ve looked like some 2,500 years ago in the kingdom of the biblical Judah. (CENTREDAILY) — JERUSALEM — He’s considered to be one of the greatest scientists of all time. But Sir Isaac Newton was also an influential theologian who applied a scientific approach to the study of scripture, Hebrew and Jewish mysticism. Now Israel’s national library, an unlikely owner of a vast trove of Newton’s writings, has digitized his theological collection – some 7,500 pages in Newton’s own handwriting – and put it online. Among the yellowed texts are Newton’s famous prediction of the apocalypse in 2060. 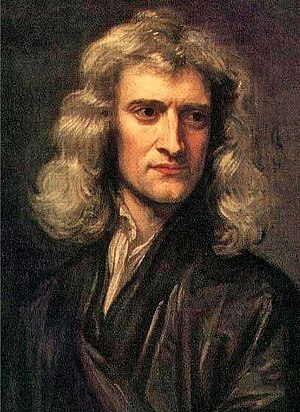 Newton revolutionized physics, mathematics and astronomy in the 17th and 18th century, laying the foundations for most of classical mechanics – with the principal of universal gravitation and the three laws of motion bearing his name. However, the curator of Israel’s national library’s humanities collection said Newton was also a devout Christian who dealt far more in theology than he did in physics and believed that scripture provided a “code” to the natural world. also from our archives- read: Isaac Newton meets Jerusalem Temple! Newly released footage captured during the capsizing of the Costa Concordia cruise ship, including reactions among the crew and Captain Francesco Schettino being pressurized to evacuate.